Breath of Bliss breathwork offerings are not a substitute for medical or psychological diagnosis or treatment. These audios are not intended to treat medical or psychological conditions. These programs are a tool for spiritual and personal growth. Any healing subsequent to using these audios is a result of my own self-healing. 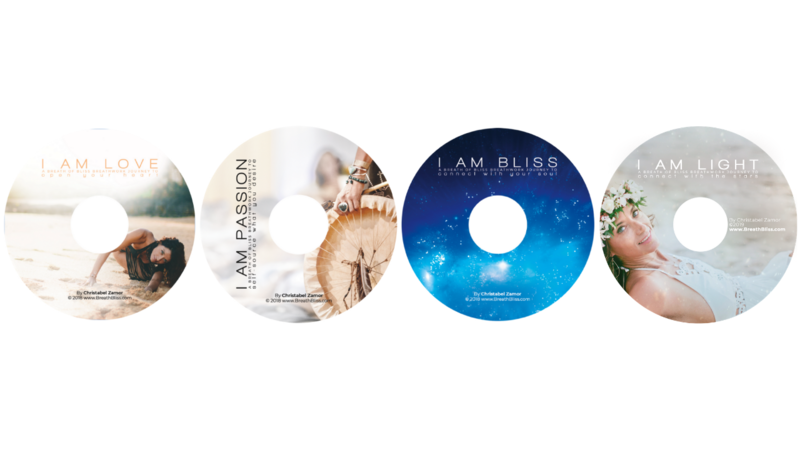 In this 4 audio download Breath of Bliss Breathwork Journey Combo you will receive and have the option to alternate between Breathwork journey's each day or week! This combo is for those dedicated to self transformation! 3. I AM BLISS to connect with your soul. 4. I AM LIGHT to connect with the stars.